Work begins to repair damage caused to a statue in Whitehall, central London, when a man climbed up it and stripped naked before vandalising it. My first few hours on the ground in London with my eyes towards the clouds. Completely missed the more "known" statue / water feature at the base of 34 Haymarket -- "Horses of Helios"
A Colmar la Statue de la Liberté enfile le Gilet ! Looking back on the moment later on, Freidman described a kiss that wasn't consensual. "Suddenly, I was grabbed by a sailor," she told Veterans History Project in 2005. "It wasn't that much of a kiss. It was more of a jubilant act that he didn't have to go back." Mendonsa's recollection is similar. "So we get into Times Square and the war ends and I see the nurse," he told CNN in 2015. "I had a few drinks, and it was just plain instinct, I guess. I just grabbed her." I actually wonder why they erected a statue celebrating sexual misbehaviour against women, or why such a photo documenting this became so famous. This is partially disturbing. "The approximate damage is estimated to be more than $1,000 due to the large area that the graffiti covers, and the resources needed to repair it," police said in a statement. Police in Florida are looking for the vandal who painted "#MeToo" on the leg of the nurse in the "Unconditional Surrender" statue. Look at this Cheeky Bugger ! 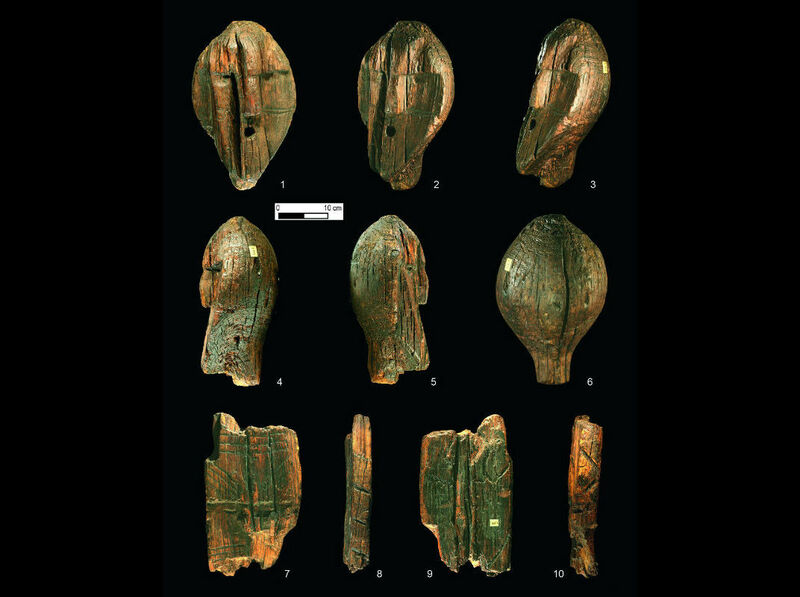 Cette statue norvégienne de plus de 10 mètres vient de battre le record. Cette statue norvégienne de plus de 10 mètres vient de battre le record. See the best free to download photos, images, and wallpapers by George Kochiashvili on Unsplash. Right on schedule, the world's tallest statue has officially opened in India. Standing almost 600ft (182m) tall, the new Statue of Unity depicts Indian freedom fighter Vallabhbhai Patel, and was dedicated by India's Prime Minister Shri Narendra Modi at a ceremony on October 31. Looming 182 meters (597 feet) above the #Narmada #River in the western Indian state of #Gujarat, the #statue is set to be unveiled on October 31. Looming 182 meters (597 feet) above the Narmada River in the western Indian state of Gujarat, the statue is set to be unveiled on October 31. The Column of Marco Aurelio, Rome. Die Idee, dass man vermeintlich heroische Ereignisse der Geschichte auch aus einer anderen Perspektive betrachten kann - nämlich aus der des Unterlegenen - ist nicht neu. Gerade an Christoph Kolumbus, dem Entdecker Amerikas, scheiden sich seit vielen Jahren die Geister, besonders in der spanischsprachigen Welt zu beiden Seiten des Atlantiks und in den USA. Auslöser der neuesten Aufregung ist die Entscheidung des Stadtrats von Los Angeles, eine Statue des Seefahrers aus einem Park zu entfernen. Über 100 Schaulustige und Nachfahren von Ureinwohnern bejubelten die Abräumaktion und dokumentieren sie mit ihren Smartphones. Kolumbus sei zu sehr mit Sklaverei und Brutalität verbunden, um ihn mit einem Denkmal zu ehren, so der Stadtrat. Die Stadt Los Angeles ließ nach jahrelangen Protesten von Ureinwohnern eine Statue des Seefahrers Christoph Kolumbus entfernen. Die Folge: Spaniens Völkermord in Lateinamerika erhitzt wieder die Gemüter. Hätte man in Los Angeles die Statue des Kolumbus allein wegen seiner Hässlichkeit entfernt, hätte dies niemanden interessiert. Aber nun erhitzen sich wieder die Gemüter über den Völkermord der Spanier in Lateinamerika. Op het plein dat gisteren op dit weblog stond, staat dit beeld van de hertog van Wellington, bekend van de slag bij Waterloo. Op de achtergrond de kathedraal van Norwich. Was auch immer die Stars aus der Welt der Musik machen, wir bleiben für Sie dran und berichten darüber in den Musiknews. In Neubrandenburg steht bald wieder eine Karl-Marx-Statue. Die Stadtvertreter stimmten zu, eine private Spende anzunehmen. Diese soll die Kosten der Wiederaufstellung decken. #BERLIN — A golden #effigy of #Turkish President #RecepTayyipErdogan evoking the famous statue of #Saddam #Hussein has been erected in a central German city as part of an #art #festival whose motto is "bad news." The larger-than-life statue in the central German city of #Wiesbaden depicts #Erdogan with a raised right arm, a pose #reminiscent of the #iconic statue of former #Iraqi #dictator that was famously torn down by American military forces during their #invasion of #Iraq in 2003. The local #WiesbadenerKurier reported the #statue was put up in the city's #downtown area Monday. City #authorities had #authorized the statue as part of the ongoing Wiesbaden #Biennale #art #festival, but didn't know #Erdogan would be the person depicted, the newspaper reported. Members of the Satanic Temple held a "Rally for the First Amendment” yesterday at the Arkansas State Capitol, where they unveiled an 8.5-foot bronze statue of Baphomet with two adoring children at his side to the Arkansas State Capitol. The Satanic Temple is suing the Federal Government for the right to permanently install the statue on the Capitol grounds, arguing that since the Capitol has a Ten Commandments monument, other religions must be allowed to display their symbols there, too. Hier die #Fotos der #Wanderung heute, es war wieder schön, auf dem #Gipfel etwas windig, aber das Wetter hat super gehalten. #Schottland ohne Regen. Los ging es im Dorf "Golspie", am Startpunkt gibt es einen Parkplatz mit einem Kaffee und um die Ecke gibt es auch einen Supermarkt falls man noch etwas zu Essen oder zu Trinken kaufen möchte. Es geht direkt los mit einer langsam ansteigenden Straße und der Bahnstrecke durch. Vom Bahnhof aus kann man auch den Startpunkt gut erreichen. Die ersten paar Meter den Berg hoch und schon hat man einen super Ausblick auf das #Meer. Am Wegesrand wachsen #Blaubeeren, #Cranberry (hier aus einem Baumstumpf). Hindurch durch die üblichen komplett gerodeten Bereiche im #Wald, aber auch diese haben durch die besondere Flora ihren Reiz. Auf dem #Gipfel des Berges #BenBhraggie gibt es eine Statue des Earl of Sutherland in etwa 397 m Höhe, das ist dann auch der Höhenunterschied den wir erklimmen müssen. Ein Blick Richtung Dunrobin Castle, vom Gipfel des Berges, leider schlecht zu sehen auf dem Handyfoto. Der Gipfel ist recht schnell erreicht, es geht steil bergauf, dafür ist das Weg nicht so lang. Ein Blick in die andere Richtung, zu sehen ist Dornoch Firth. Und hier noch ein Blick auf Tarbat Ness, der Leuchtturm ist gerade noch so zu sehen. Das ist die Halbinsel wo wir gestern die 15km um die Spitze gelaufen sind. Es sind die Kleinigkeiten die schön sind. Der Rückweg führt über Flüsse und durch dichten #Wald. Ein schöner #Wasserfall liegt auch auf dem Weg. Der Weg wurde ausgebaut mit Mitteln der #EU, dass ist hier oben nicht selten, die Schilder sieht man immer wieder. Was machen die Affen vor dem Kieler Landtag? Zehn Bronzeaffen des Künstlers Liu Ruowang verbringen den Sommer vor dem Parlamentsgebäude in Kiel. Politik und Bürger sollen darüber miteinander ins Gespräch kommen. More feminine look of Las Vegas statue merits copyright protection. Enlarge / Original Statue of Liberty is on the left. Robert Davidsonʼs Las Vegas replica is on the right. A sculptor who created a replica of the Statue of Liberty for a Las Vegas casino was awarded $3.5 million in damages last week after the US Postal Service (USPS) accidentally used a photo of his statue—rather than a photo of the original statue in New York harbor—on one of its most common stamps. The stamp with the resulting image was released to the public in December 2010; it took four months before anyone pointed out the mistake to the Post Office. 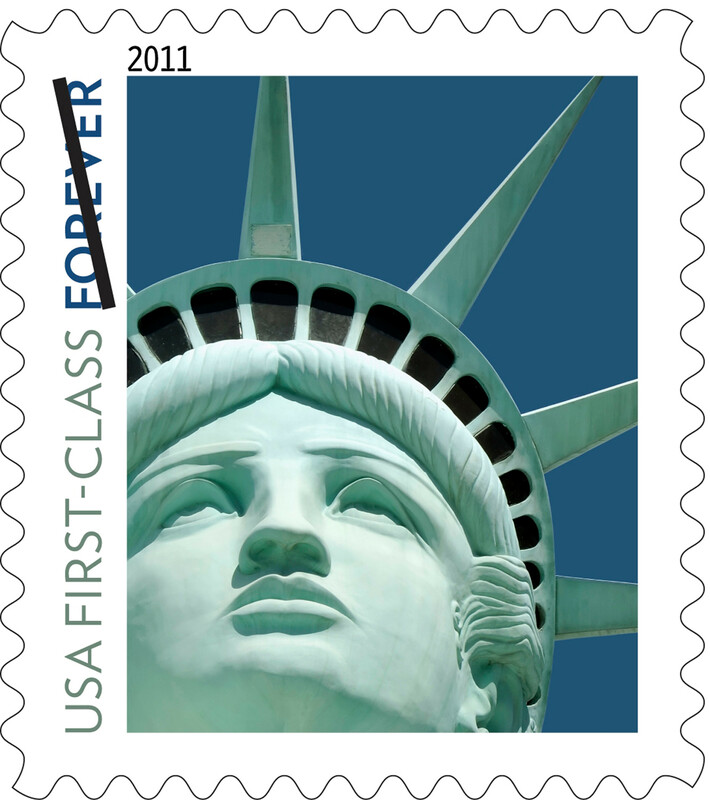 In March 2011, a spokesperson said that the USPS "still loves the stamp design and would have selected this photograph anyway." The Post Office continued using the photo for almost three years before retiring it in January 2014. Davidson sued, arguing that he was owed royalties for unauthorized use of an image of his statue. But the Post Office argued that as a mere copy of a famous statue, Davidsonʼs work wasnʼt entitled to copyright protection. The Post Office also argued that the use of the image was permitted by copyrightʼs fair use doctrine because the Post Office derived little value from using an image of Davidsonʼs slightly different version of the statue rather than the original. The US Court of Federal Claims disagreed. 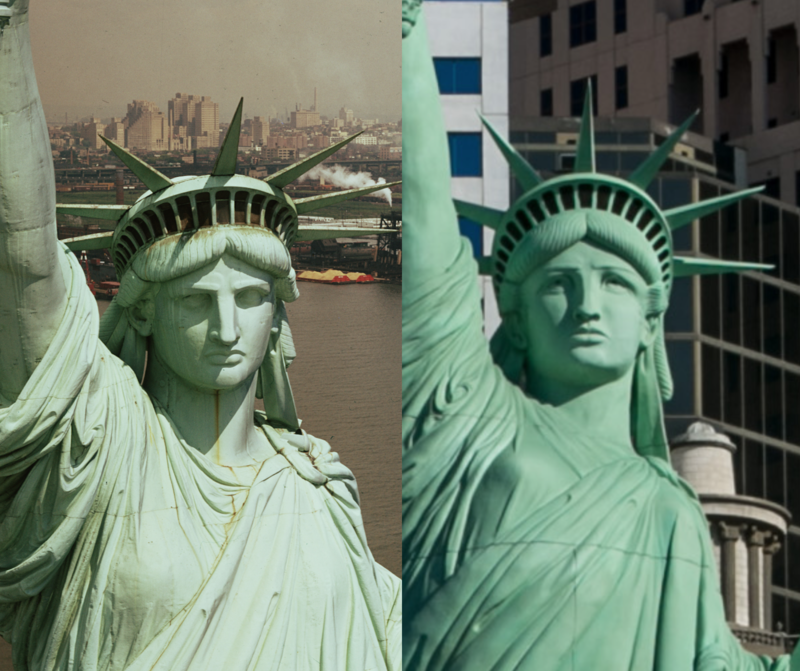 Davidson testified that he had tried to feminize the rather masculine look of the original Lady Libertyʼs face. The court agreed and concluded that Davidsonʼs modifications to the face were sufficiently large to grant his work originality and defeat the governmentʼs fair use claim. [IMG]The final issue the court needed to decide was how much money Davidson was owed. The USPS argued that lots of artists were eager to have their work on stamps, and so the Post Office never has to pay more than $5,000 for a license to use a work. USPS argued that Davidson should get no more than $10,000. Davidson countered that he should get a percentage rate for every stamp issued. And with billions of stamps sold, that could be a very large number. The court ultimately focused on the 3.24 percent of the stamps that were never used—either because they were lost or because they were retained by stamp collectors. These stamps represent pure profit for the Post Office, and the court concluded that it was reasonable for the Post Office to pay a per-stamp royalty for these stamps. These unused stamps accounted for more than $70 million in Post Office revenue during the three years Davidsonʼs image was used. The court awarded Davidson a five percent royalty for those unused stamps; it also awarded him $5,000 in damages for the nearly $5 billion worth of stamps that were used to pay postage. Total damages: $3.55 million. The Post Office says it has new procedures in place to make sure that it doesnʼt make a mistake like this again. Workman doing a headstand on top of the Statue of Liberty, 1938. When I was a kid we got to climb the stairs up into the head of this Statue and look out the widows on her crown right under where this guy is. I remember it was really hot, humid, and dirty in that small room. I did not like it. A statue honoring women who were forced to work in Japanese military brothels during World War II was quietly removed from a busy seaside promenade in the Philippine capital, angering women's groups. Just stumbled over this photo I took in Prague, in early spring 2006.